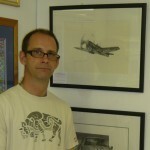 From an early age Stephen Davies has been fascinated by aeroplanes and flight. 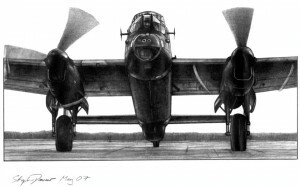 His incredibly detailed drawings of aviation, military and maritime vehicles have become very popular both in Jersey and in the UK. Stephen shared some information with us about his growing body of work. 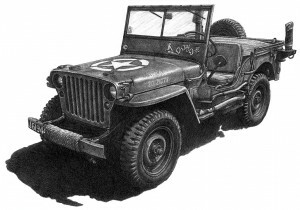 My name is Stephen Davies and I create drawings of aviation, military vehicles and cars. My range of work will be expanding to cover scenic and maritime images, trains and colour aerial scenes as well as adding to the aviation, car and military vehicle range. I have been drawing since the age of 14, my last eye operations left me with double vision which I see all the time, this gave me the gift which I have honed over the years. As an artist, I try to captivate you in the hope that you will marvel at the close detail of each work, from complete subjects to close ups alike, and find enjoyment from discovering something new each time you view my work. My aim is to produce superlative, high quality work aspiring to, or better than, photographic quality. My typical work day is quite busy. I work full time at Standard Bank from 9 to 5ish. Lunchtimes are spent checking stock at the Post Office in Broad Street. When I get home, there’s checking e-mails, stock replenishment, event preparation and then working on new drawings, either commissions or portfolio pieces. 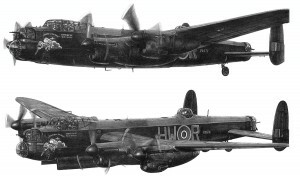 The most popular aircraft I draw would be the Spitfire and Lancaster, new ones of these are on the drawing board. Plus I have had requests for the Lightning, Wellington and Swordfish, as well as American types which I will be producing soon. 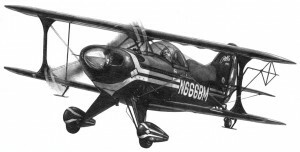 I joined the Guild of Aviation Artists in England, and this year I submitted 3 drawings to the Guild of Aviation Artists Submission Day at the Mall Galleries. I am pleased to say that all 3 were accepted and will be displayed in their July Exhibition. This will be my 3rd successful submission in 3 years as I also submitted and was accepted in 2011 and 2012. With my work being accepted I will also be automatically included in the Midland Region Exhibition. I was also commissioned by the Ports of Jersey to produce a Maritime drawing of St. Helier Harbour in February, this was drawn out and executed in colour pencil and 'B' pencils late March and finished in April, it took 110 hours to complete. The piece was presented to Rear Admiral Duncan Potts, Assistant Chief of Naval Staff in the Royal Navy who was this year’s special guest at Barclays Boat Show on behalf of the Royal Navy. It was extremely well received. 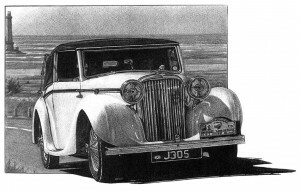 In Jersey, my work can be found at The Harbour Gallery in St Aubin, Victoria Art Galleries in St Helier, The Auto Centre St Brelades, and the Post Office in Broad Street. There are also various events and exhibitions that I will be attending throughout the year. 19th August to 8th September 2013.